As Maine’s economy continues to struggle, state leaders say the health care sector remains strong and is expected to grow. At a conference on Tuesday, officials said training a qualified work force is the key to both meeting the growing demand for health care services in Maine and taking advantage of the economic activity that demand will generate. At the same time, they noted, efforts to slow the growth of health care spending are putting pressure on employers to limit hiring and find ways to operate more efficiently. The annual meeting of the Maine Health Workforce Forum took place at the Wells Conference Center at the University of Maine and brought together professionals from health care, education, labor and economic development. In his opening remarks, Gov. 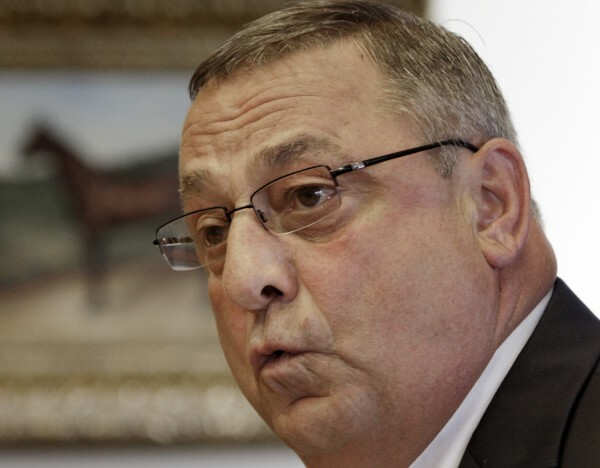 Paul LePage noted that Maine’s oldest-in-the-nation population will create a growing need for direct-care medical services as well as assisted-living housing and other resources. Meanwhile, he said, Mainers working in health care and related jobs are growing older and preparing for retirement, leaving vacant positions that must be filled. “It’s very important that we address this subject,” he said, adding that jobs in the health care sector must come from private businesses rather than government agencies. The governor said his administration is committed to making Maine an attractive place to do business by lightening regulations, easing taxes and simplifying the permitting process. He also intends to help high school students get a jump start on postsecondary education and training that will qualify them to fill the many well-paid jobs available in the health care sector. “The education system must provide people to fill these positions that provide high pay and a good quality of life,” he said. Nationally, about 18.6 million Americans work in health care, according to data from the National Center for Health Workforce Analysis, established by the Affordable Care Act. That number includes health professionals working in hospitals, nursing homes and other clinical settings; health professionals who work in research, insurance or other sectors; and information technology experts, nutrition service workers and others who work in health care settings. Between 2000 and 2008, the number of those jobs grew by 30 percent compared with the 3.7 percent growth in overall employment. Between 2008 and 2018, according to the national data, the health care occupations with the highest projected growth include registered nurses, hospital aides, home health aides, medical assistants, physicians and surgeons. Americans now spend about 18 percent of the gross national product on health care, a rate much higher than any other nation and which experts agree is unsustainable. In Maine, health care jobs have grown consistently from about 58,000 in 1992 to about 100,000 in 2010, according to the Maine Department of Labor. Gains in health care hiring have offset combined losses in every other sector except manufacturing. However, the rate of growth is slowing, from about 12,000 new jobs between 1999 and 2009 to about 7,490 new jobs projected between 2008 and 2018. Charles Dwyer of the Maine Office of Rural Health and Primary Care said there are pronounced shortages of primary care physicians and dentists in Maine’s more rural counties. The problem is likely to get worse, he said, since 20 percent of doctors now practicing in Maine likely will retire within the next five years and 54 percent will retire within 15 years. Rural areas will see the greatest turnover and it’s harder to attract new doctors there than more urban parts of the state, he said. Judith Grant of Maine Medical Center in Portland said hospitals are under growing pressure to limit hiring at a time when they already see a need for more staff and services. Grant said health care remains a growing field. “These are great-paying jobs and we need to make sure we educate Maine people for these jobs and not go out of state to fill them,” she said. During a panel discussion featuring the commissioners of the Department of Health and Human Services, the Department of Labor, the Department of Economic and Community Development and the Department of Education, Education Commissioner Stephen Bowen said Maine schools need “deep structural change” to meet the challenge of educating a modern, employable work force. The current system developed to meet the needs of an industrial and agricultural society in which most students found work in mills, farms, forests or on the water, he said, and only a few needed to be ready to go on to college. Efforts to improve general student performance and readiness amount to “trying to beat this system into doing something it wasn’t designed to do,” Bowen said. Bowen said schools — including middle schools, high schools and colleges — should do a better job of telling teens to learn early on what courses they should take to pursue the careers they want and of encouraging capable high students to enroll in college-level classes. Schools also should partner with the business community to ensure students have many opportunities to learn about trades and professions, he said. The conference was organized by the Maine Department of Labor, which last year was awarded a $4.9 million grant to help increase the supply and enrollment of credentialed health care workers, including registered nurses, certified nursing assistants and allied health professionals.